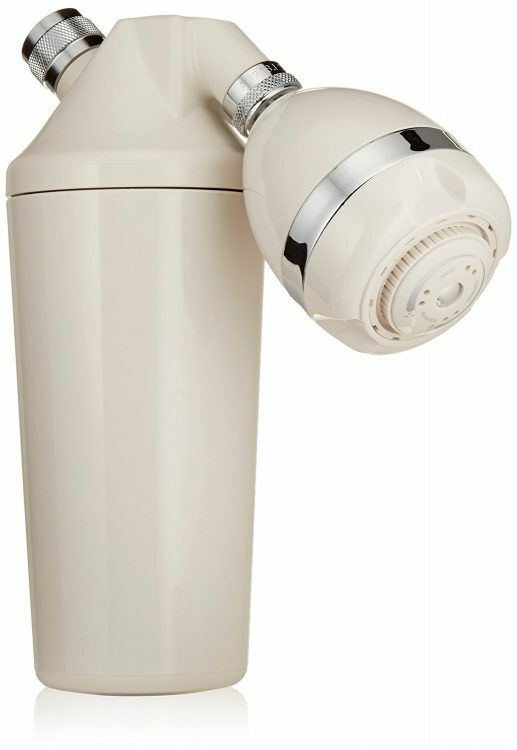 The Johnathan Product Beauty Water Shower Purification System is a two stage, patented shower filter. Said to change ordinary tap water into pure, PH balances spring water, the product was specifically designed to remove heavy metals, and it also claims to remove the majority of toxic and harmful chemicals, such as chlorine. Is made of carbonized coconut shells, making it more durable than average shower purifiers. Removes harsh heavy metals such as copper and lead, producing an almost pure spring water. Is said to replace heavy metals with potassium rich ions to aid in healthier skin and hair. Evens out PH balance by removing up to 91% of chlorine as well as other toxic and harmful chemicals. 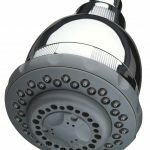 All in all, many consumers gave the Johnson Product Beauty Shower Purification system the highest possible rating, making it appear as though it is a very good product to have for everyday use in daily life. Many individuals claimed that the Shower Purification System met and over-exceeded their expectations. Successfully removes the majority of toxic chemicals and heavy metals to give a brighter gleam to hair and skin. The product is known for moisturizing hair, making it look much more healthy and bright, and even helping to make hair color last noticeably longer! This can save you so much money on certain hair products such as shampoos, conditioners, and hair dye. 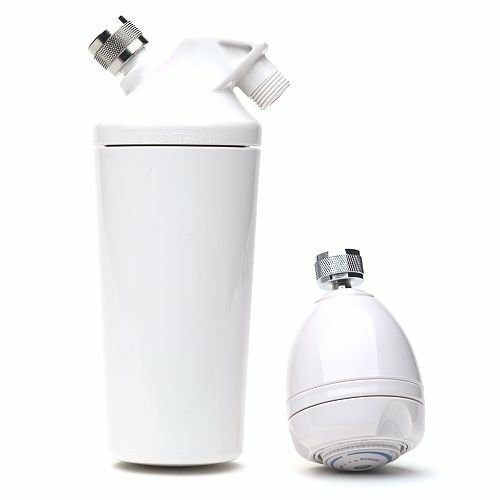 The Johnathan Product Beauty Shower Purification System is small (2x2x2 dimension) and a little over two pounds, making it very light and incredibly easy to install. Gives a certain glow to skin, making it look much healthier, smoother, and more elastic once product is installed. Produces an overall healthy look and feel almost immediately when properly installed. Filters for product only need to be replaced once every other month. It takes minimal effort to replace the filter, as well. Instruction guide that (generally) comes with it gives easy step by step instructions on how to quickly install. Sometimes the product is counterfeit, made with cheaper less durable materials and sold for the same price as an original. Sometimes they are received by customers defective, which is difficult to solve since customer and technical support are difficult to reach, and the product has a very small warranty, if it comes with one at all. Once received by the customer, pieces were sometimes found to be missing; making assembly almost or completely impossible. The product ranges around $60-80 USD, making it a little more expensive than some would like to spend. Filters for the Shower Purification System are somewhat expensive, some costing as much as $55, though they are cheaper than the product itself. Replacement filters are required, and sold separately, Filters need to be replaced about once every other month. If filter is not properly replaced it could cause the product to function improperly, or even break.